Milton Keynes Council has revealed that sixteen local areas across our city are currently suffering from 'incomplete' bin collections, with rubbish bags being left in the streets for extended periods of time. Residents in Woburn Sands, Wavendon, Old Farm Park, Browns Wood, Walton Park, Walton Hall, Bow Brickhill, Shenley Brook End, Peartree Bridge, Tattenhoe, Tattenhoe Park, Eaglestone, Wavendone Gate, Furzton, Monkston and Coffee Hall are amongst those who have been affected by a delayed collection. West Bletchley resident Rachel Cash said: "This is disgraceful. I live in West Bletchley and the road is a mess full of rubbish. What is the reason why they have not collected the rubbish? No one has been kept informed. What are we paying our council tax for!" Many residents also reported that only one half of their bins had been collected with other rubbish being left. Some local people say that the issue has been compounded by people not looking for their revised collection dates for Christmas/New Year and continuing to put rubbish out onto the street on their regular collection day. 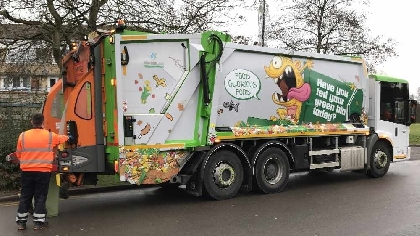 It has also been revealed by a number of local residents that MK Council's Recycling App has not been updated with the revised collection dates. Wolverton resident Colin Stuart said: "Wolverton is a dump due to rubbish, but it is the residents fault not the Council. Our last bin day was Friday 22nd. Our next is Tuesday 2nd, yet people put their trash out last week." MKFM has contacted Milton Keynes Council for comment.